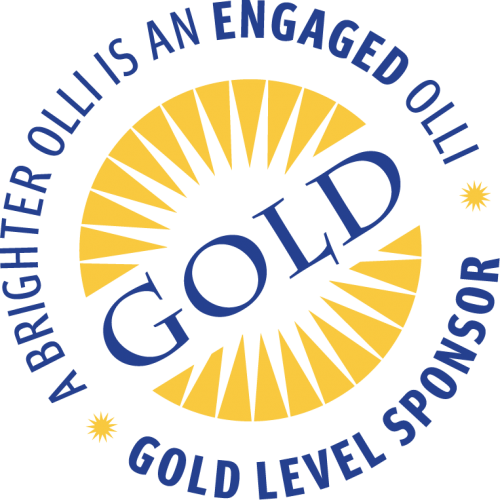 OLLI serves a vibrant community of adults over 50 who are generally well-educated, active, engaged in life, and have disposable income. 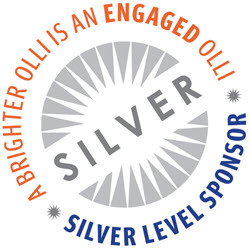 The generous gifts of our business sponsors support the cognitive and social benefits of OLLI, help us deliver excellent programming, and enable us to offer fee assistance to members who couldn’t otherwise afford to participate. Altum Wealth Advisors is an independent investment advisory firm serving clients throughout Northern California. We provide comprehensive and personalized financial planning, investment management, and wealth management services to individuals, families, estates, business owners, and entrepreneurs. As your fiduciaries, we are committed to the highest level of service and standards. Securities offered through First Allied Securities Inc., Member FINRA/SIPC. Harris & Plottel is the area's leading law firm in Estate Planning, Special Needs Trusts, Irrevocable Asset Protection Trusts, Medi-Cal Law, Veterans' Benefits, and other forms of asset preservation for long term care. The firm specializes in customized plans for a wide spectrum of people with estates of all sizes. Cal Water serves about 97,300 people in Chico and Hamilton City. Cal Water utilizes 68 wells to pump an average of 2.7 million gallons of groundwater per day, which is delivered through 380 miles of pipeline. To ensure the water meets all federal and state standards, the utility conducts more than 440,000 tests per year. Chico Hearing Aid Center is devoted to helping people achieve better hearing, so they can fully participate in life. We have been “Changing lives through better hearing since 1949” and would like to do the same for you. We offer free Hearing Evaluations to determine your potential benefit from hearing aids. North Valley Eye Care uses the latest medical advancements and breakthrough technologies to detect issues that affect not just your eyes but your overall health. Our skilled surgeons perform thousands of procedures each year, including LenSx bladeless laser-assisted cataract surgery, glaucoma surgery, and more. We’ve earned the trust of our patients, referring doctors, and friends. We would love to earn yours as well. Life is beautiful…See it! At Chico Eye Center we strive to consistently exceed the service and patient-care expectations of our patients and do so by investing in staff education and the most advanced treatment modalities. Our patients are also our friends, our neighbors, and our family; the interests of our patients have the highest priority. Enloe Medical Center is a community-based hospital and Level II Trauma Center with the only hospital-owned FlightCare program in the state. Offering a broad array of services covering far-northern California, Enloe caregivers provide high quality care, engaging patients and families in the treatment process, while supporting wellness throughout the community. Dr. Mark Womack is an experienced oral and maxillofacial surgeon committed to eliminating the anxiety and fear that patients often experience when anticipating surgery. His particular interests are anesthesia, dental implants and third molar extractions, as well as combined surgical orthodontic procedures. He has dedicated his practice to providing our community with a state–of–the–art outpatient surgery facility, and with a committed, friendly and competent team of administrative and surgical associates. Dr. Loeta Robles, DDS practices a full scope of general and cosmetic dentistry. She earned her Doctorate in Dental Surgery from UC San Francisco, graduating with honors and earned certificates of excellence in clinical endodontics and patient-centered care, anesthesiology, and orofacial pain. With expertise ranging from porcelain veneers to dental implants, dentures, crowns and bridges, Dr. Robles can correct a wide variety of cosmetic dental problems and can literally redesign your smile.